PLATFORM HEIGHT 37'6" MAX. CAP. 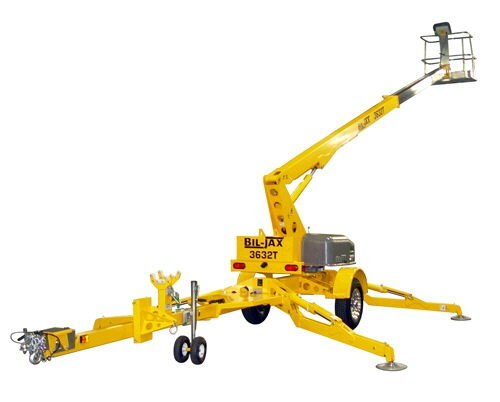 500LBS LENGTH 21' 11" WIDTH 5' 5"
* Please call us for any questions on our bucket lift 42 foot towable rentals in Mt. Airy NC and King NC, and all of Surry County in North Carolina.